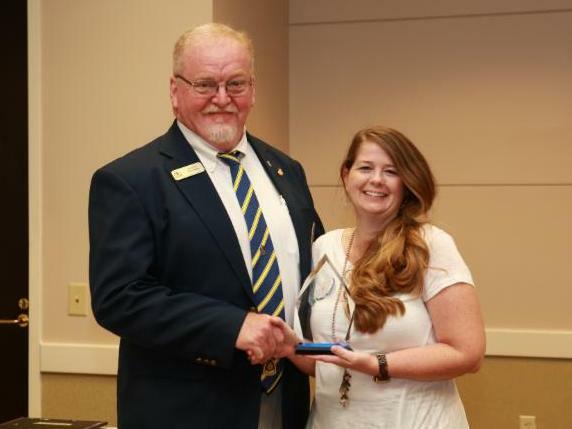 You are receiving this email as part of your membership of the Georgia FFA Alumni. 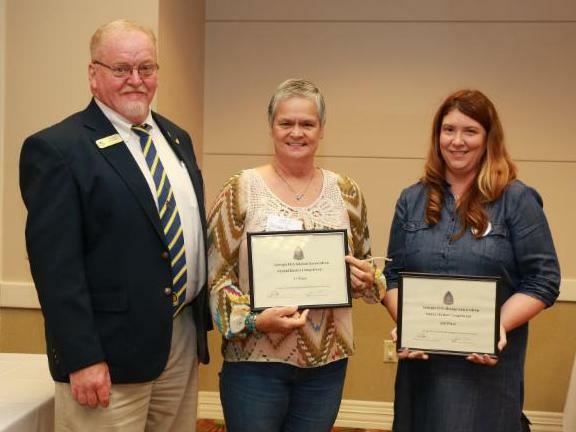 The Georgia FFA Alumni Association presented several awards to members and local alumni affiliates during the Georgia FFA State Convention in April. Congratulations to all award winners! 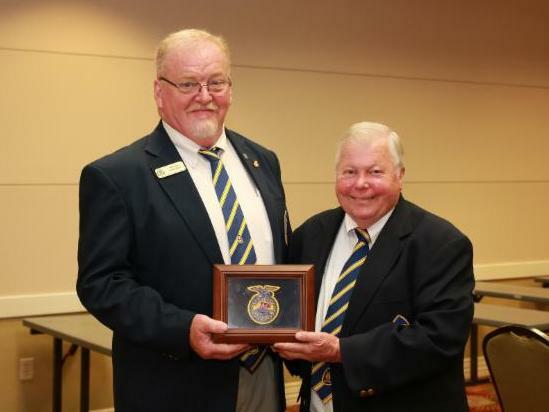 Keith Holmes, past president of the Georgia FFA Alumni, presents the retiring president's plaque to Jim East, 2017-2018 GA FFA Alumni president from Miller County. The Georgia FFA Alumni is a proud sponsor of the Washington Leadership Conference scholarship program. 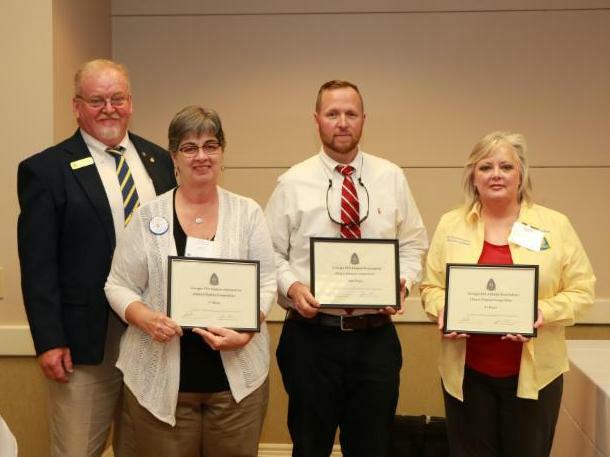 This year the Georgia FFA Alumni presented two WLC schoarships to Faith Wofford, Sonoraville, and Erik Robinson, Effingham County. 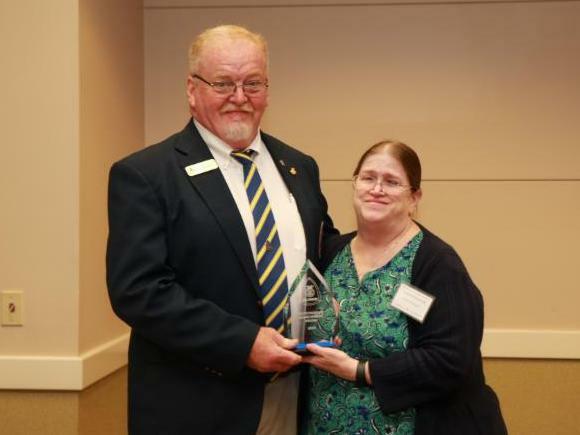 The Georgia FFA Alumni also presents the Lt. Col. Earl Cheek Scholarship annually to college students studying agricultural education. 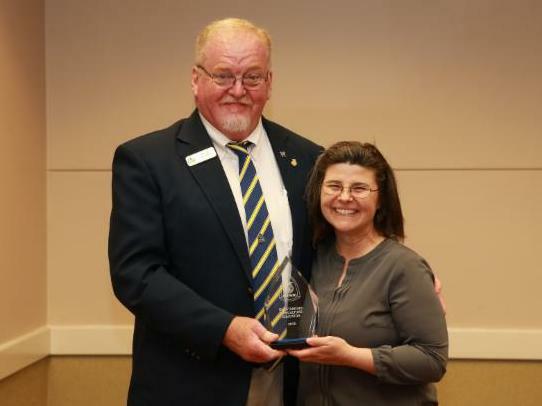 The scholarships were presented during the Ag Ed Hall of Fame ceremony in January and recognized again during the Georgia FFA Alumni State Convention. 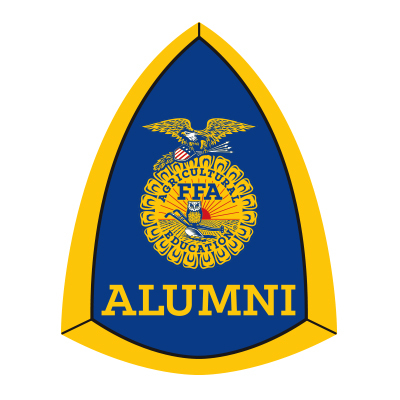 The Georgia FFA Alumni membership dues are due annually on Dec. 1. All affiliates need to update their membership roster online at www.ffa.org and then notify the state via email at g[log in to unmask]. 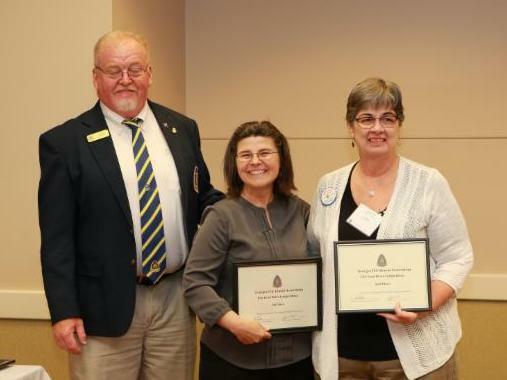 All alumni chapters pay an affiliation fee of $200 annually to the state for the dues. 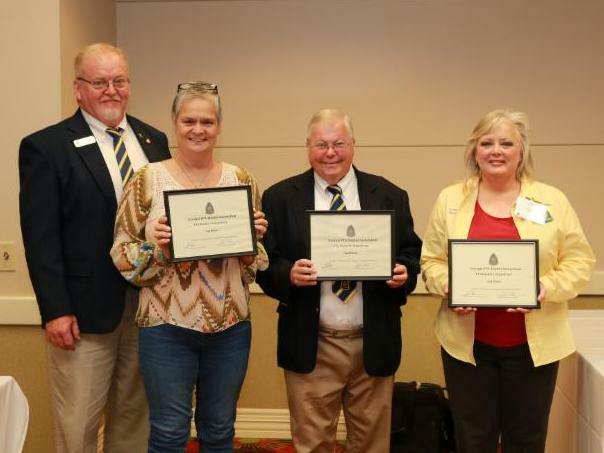 Alumni chapters with more than 25 life members are exempt from the $100 national dues but still owe state dues of $100. 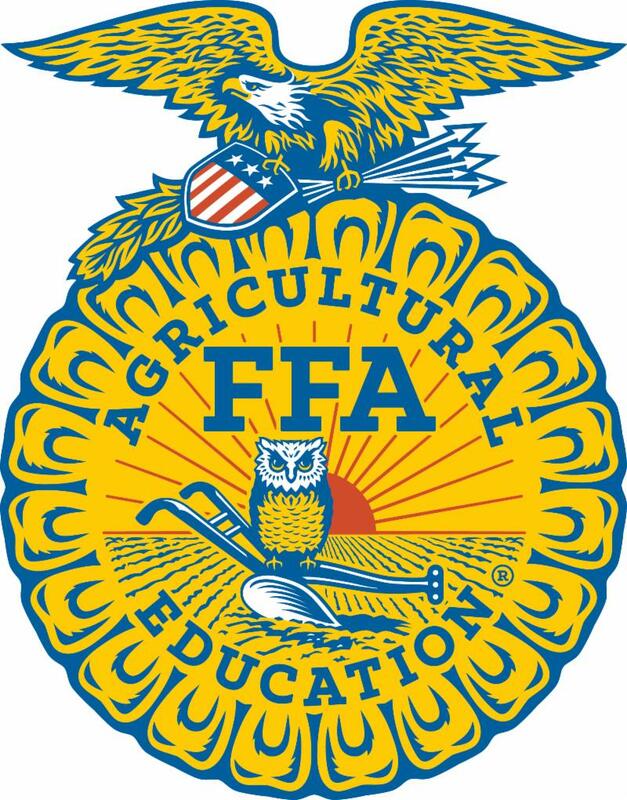 Also, National FFA Alumni increased the life membership dues rate to $200 so please update your life membership dues on the local level. The membership year runs Aug. 1, 2018 - July 31, 2019. If you have new officers this year, please have them contact Joy Crosby via email at [log in to unmask] so they can receive administrative status and instructions on how to update the roster. I am so super proud of our newest FFA Alumni Affiliate in Area 3 - Rutland Middle FFA Alumni!! Talk about showing up & showing out at State Convention! They prepared a basket for the FFA Alumni Basket contest and also helped prepare a basket for the FFA Chapter Basket contest and won BOTH!! They received $500 for each contest. They also went �All In� on the contests and created a Display Board for the contest and placed as well. Congratulations Rutland Middle FFA Alumni! I am challenging all Area 3 Alumni groups right now - start collecting items for your Alumni basket entry & start putting together ideas and pictures for your display entry for next year�s State Convention. The Bleckley County FFA Alumni held its annual Silent Auction in conjunction with the Bleckley County FFA Awards Program on May 3. Thanks to many generous financial and item donations from area businesses and individuals, we raised over $2,000 to be used for Senior Scholarships and financial support of our local FFA chapter! Area 4 - Johnny Jones, Lyons, Ga.
Area 6 - William White, Axson, Ga.
Give Back to Your Roots Grants, sponsored by Crop Production Services, and Legacy Grants, sponsored by Tractor Supply Company, can be used to create an FFA Alumni and Supporters Chapter, improve the quality of existing FFA Alumni and Supporters Chapters or to provide more opportunities for partnership between FFA Chapters and Alumni and Supporters Chapters. See application below for more information. 2018 Grants will be awarded after three deadlines: March 1, June 1 and September 4, 2018. If a grant application is not selected during a grant period, it will be rolled into the selection pool for the next 2018 grant cycle. For grant recipients: Grant Report Form is due Feb. 1, 2019. The FFA has partnered with Agrotours to offer the new FFA Alumni and Supporters Agriculture Travel Program. Up to 48 alumni and supporters can participate in the inaugural travel program that will take participants on a tour through the Netherlands and Germany July 1-10, 2019. Application and more information.